D.L.Johnstone lives in the Toronto area with his wife, four kids and a half-dog/half-sasquatch named Charlie. 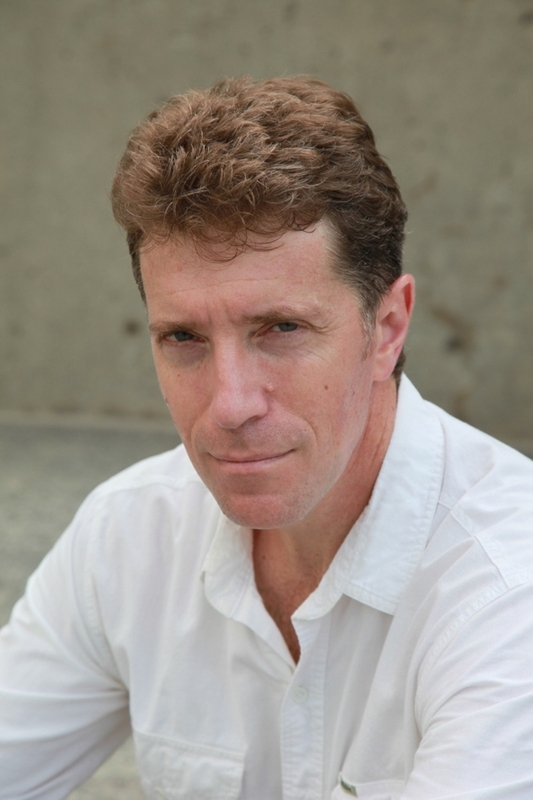 He's the author of the thrillers CHALK VALLEY and FURIES: An Ancient Alexandrian Thriller. It was more a slow gestation than defining moment, and it happened during my high school years. I’ve always been closely connected to reading and story-telling and how words can be woven together. I clearly remember when I was two years old and the a-ha moment when I found the “a” in the word “sailor” on a big flash card and was able to read it. The little sailor cap next to the word had no influence whatsoever. Most authors are inspired to write because of what they read, and I was a voracious reader in high school. No single favourites. I probably have a top 10 or 20. From War and Peace to Harry Potter, Stephen King to George R.R. Martin. What I love is a well written story that gets me so caught up in the story and the characters that I can’t put it down. And when I think upon it days or weeks later, actually missing the characters, wondering what happened to them. Amazing. I love beautiful prose and flat out action. Lately I’ve been reading Hillary Martell’s Wolf Hall – a stunningly well crafted work. (1) Don’t just write well, tell the story well. They are two entirely different things. (2) Don’t be afraid to rewrite. Embrace the changes, trust your gut and just do it. In your book; Furies: An Ancient Alexandrian Thriller, can you tell my Book Nerd community a little about it? Let me tell you instead how I came to write it. I’d just finished writing my first book, CHALK VALLEY, a contemporary serial killer thriller. My agent wanted me to do a sequel, but I wanted a new challenge. I’m a Roman history geek and thought, hey, how hard could it be to set a thriller in that era? Pretty tough, actually. I loved the idea of that time and place, though. Alexandria was the centre of learning, where some of the greatest minds gathered. It had the most magnificent library, with a collection of every book known to man. It was a hugely diverse culture, with Greeks, Romans, Egyptians, Jews and countless other groups. It had a population density to rival modern Manhattan. And it was a world where mythology would clash with philosophy, and murder investigation would require ancient CSI methodolgies. Clearly, I had my work cut out for me. But I love a challenge! For those who are unfamiliar with Aculeo, how would you introduce him? Aculeo’s a very different guy in the beginning of the book than at the end. He starts off like an ancient Don Draper – he’s got everything: wealth, a beautiful family, respect, friends, a lovely home. And it is all taken away from him in the first chapter. The rest of the book is about him trying to get it back. But life keeps happening to him. He gets entangled in the investigation of some brutal murders that are linked to his financial losses. He goes to some very dark places. And he finds out what’s truly important to him in life. I’m taking a totally different direction for my next two books. My kids are still youngish and I can’t really let them read my first books – they’re way too adult. 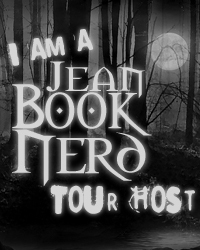 So I’ve written a couple of novels for teens that are coming out in the next 6-12 months. I love my first two books – I consider them my fifth and sixth children – but these new books are a lot of fun, a real roller coaster that let me stretch as a writer and try some new things. Then comes the sequel to FURIES, which I’ve already mapped out. I’m very excited about it and can’t wait to get started. Does this make me look fat? No, really, does it? Are you sure you’re not just saying that? That is a great question. Voice is absolutely key. A story doesn’t come alive for me until I find the voice for it. Then it almos writes itself. Start with who the main character(s) is. What are their drivers? I research quite a bit to understand my characters’ psychologies, trying to get it real and right and not get caught up in my own biases. For example, in CHALK VALLEY, part of the story is told from the killer’s perspective. He’s not a good guy. And I am not much of a sociopath. Research helped me a lot – reading books, talking to cops, psychologists, lawyers etc. Let it inform you, but you then have to let the magic happen. Working for my Dad. He was a building contractor and was a really great guy. We lost him a couple of years ago to lung cancer. I miss him deeply. This is going to sound like totally made up shlock, but I swear it’s true. My wife. I met her at a square dance when we were 13 and totally fell for her. I was so shy it took me four years to ask her out. She was, and is, the smartest, prettiest, sweetest girl I ever met. Fortunately, and I’m not sure how, she sees some redeeming features in me too. It was a girl named Penny. I don’t remember her last name, but I remember the kiss. Also the setting – camped at the base of some mountains near Banff Alberta. I make it a point to tell people I love how much I love them. I’ve lost some dear friends and family members over the years and never regret being too open with them. More out of happiness than sadness. I get a huge lump in my throat when I see my kids having a good time together, laughing, being themselves. I feel really blessed. The sixties. Because I would have loved a chance to see the Beatles, Led Zeppelin and the Stones play live in their early years. I grew up in the age of disco. And square dancing, I suppose. I blog somewhat capriciously at www.dljohnstone.com, and tweet when I remember at @DLJohnstone1. Email is fine, dljohnstonewriter@gmail.com. 36 AD - The city of Alexandria is a center of Roman commerce—and a sinful playground for the pleasure-seeking rich and powerful. Aculeo's search for the reasons behind his downfall draws him into a web of violence. A common slave is found murdered in the magnificent temple of the god Serapis. Days later, the brutalized body of a high-priced hetaira is discovered floating in a canal, after an evening entertaining the city’s elite. The grim truth soon becomes clear: A ruthless killer is moving among Alexandria’s aristocrats, commercial titans, and philosophers. Ominous clues connect those murders to Aculeo’s own quest. Aided by an Egyptian mortuary attendant, a brilliant philosopher, an exotic hetaira, and his last remaining friends, Aculeo must unmask and stop a deadly murderer if he is ever to reclaim the life he has lost. Thank you Dan for making this giveaway possible. 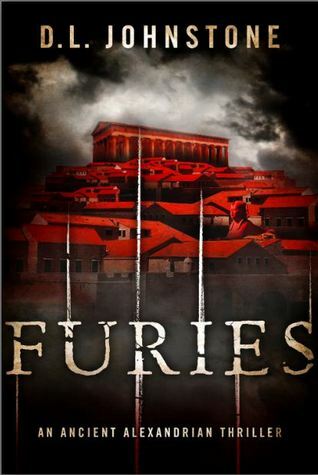 1 Winner will receive a Copy of Furies by D.L. Johnstone.